There are currently many controversies over the process of wildlife conservation, mainly focused on determining which forms of human-wildlife relationship should be endorsed by society. These differences often lead to legal discussions between lawmakers and stakeholders as result of misinterpretation of law. In this study, we examine the dominant conservation ideologies underpinning institutionalized wildlife conservation by exploring the moral basis underlying a broad range of national and international legislation. We used a teleological interpretative approach to explore the implicit and explicit intentions of legislative instruments. We found that a shift from a human-nature dualism to an integration paradigm occurred in the legal frameworks during the last 20-30 years. A desire to improve the status of threatened species or ecosystems was clearly expressed in all legislation. However, the widespread mention of consumptive values seems to indicate no principled opposition between the notions of conservation and of sustainable use. 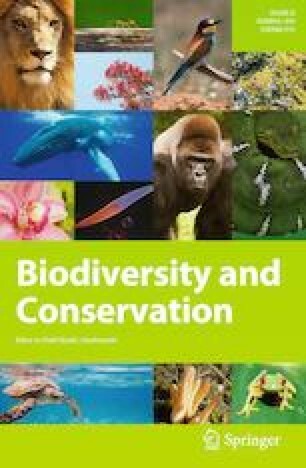 We identified three different groups of legislation: (1) a small group containing largely protectionist instruments, (2) a group based on the main European nature conservation texts and, (3) a cluster incorporating almost all the post-Convention on Biological Diversity (CBD) legislation from around the world. The CBD was found to have had a major impact on the shaping of the modern legal instruments, reconciling the eco- and anthropocentric values at the heart of modern legal thinking. Overall, the dominant legal ideology seems to aim for a compromise between the interests of society and wildlife, allowing its sustainable use and steering for shared space. This article belongs to the Topical Collection: Biodiversity legal instruments and regulations. We thank the three anonymous reviewers for their constructive comments and suggestions. The involvement of JDCL and BPK was funded by the Research Council of Norway (Grant 251112); AT was funded by the Netherlands Organisation for Scientific Research (Grant 452-13-014).